Nas still want to push his career under relentless. The legendary rapper and Mary J. Blige are teaming up for something that will soon took cover probably this summer. The pairs has announced astonish tour which got all and sundry asking the exact date. However, the tour is literally subjected as joint summer tour having the musical duo on stage. The official date is out meaning the tour is something to go by. As for the venue, it's being scheduled at North America for a 22-city and they will as well ignite their landmark turn up known as “Love Is All We Need,” with some other songs from both. 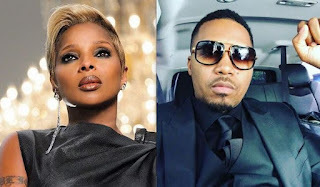 Source told Amahiphop that Nas and Mary J are likely to meet on stage to perform together and also respectively. Without no desperation, the ticket is out and you can easily purchase it at nearby venue. The ticket takes off starting on July 11th at the Coral Sky Amphitheatre at the S. Florida Fairgrounds in West Palm Beach, Florida, meanwhile you can also check out the full list below. Nas and Mary J. Blige tour Dates.